What is CDPAP?How it worksHow do I apply? Explore our latest blog posts. Is CDPAP Right for You? Do you have a question or do you just want to speak with us? Get to a better place. 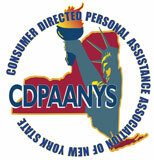 Call us now on 718.989.9768 to learn more about the Consumer Directed Personal Assistance Program (CDPAP). Or Enroll Now! or just want to learn more? We have strict non-discrimination and privacy policies. People have the right to get care from those they love and trust — people who bring them comfort & joy. All office visits are by appointment only. Call 718.989.9768 to schedule. All 62 Counties of New York State. all 62 counties of New York. That means you can get CDPAP wherever you are in New York.